Why not getting married in Greece as in the famous film ” Mamma mia ” or ” Mamma mia ci risiamo “? In this case, we are thinking about a wedding in Greece on the Island of Crete the homeland of the mythological Minotaur. An Island with many natural and artistic beauties where you can plan both your wedding and a unique honeymoon in the beautiful landscape of Out of the Blue, Capsis Elite Resort. 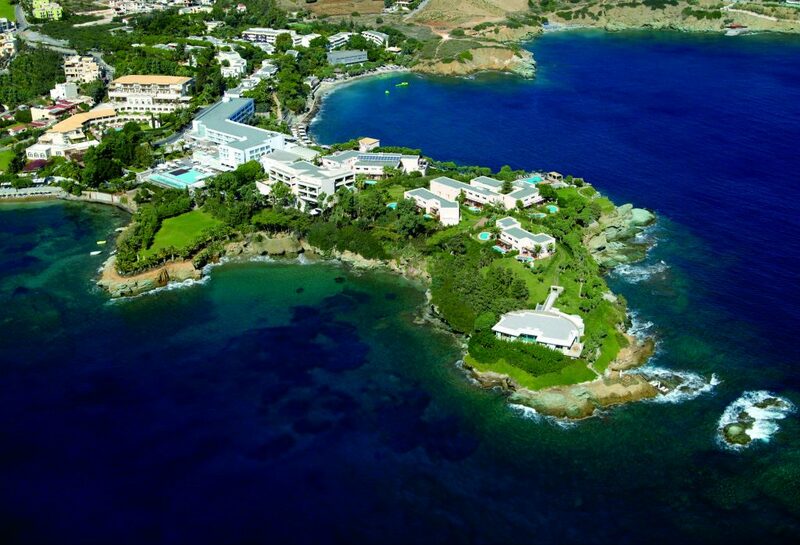 It is a luxury resort located on a private Peninsula not far from the Airport of Heraklion and from the typical Greek village of Agia Pelagia. We suggest it not only for a wedding but for all events or special occasions. Future Emotion can reserve you special prices for both your stay and for your Weddings and events. You can host your guests and organize your wedding with our help and with the cooperation of Out of the Blue, Capsis Elite Resort. Surrounded by a large botanical garden the Resort has 465 among bungalows, suites and villas, all surrounded by a Crystal blue sea, moreover, it can offer large outdoor and indoor spaces for your ceremony and party. For the Ceremony, for example, you can have some outdoor spaces with stunning views or a small Chapel where an Orthodox Ceremony can be celebrated. Future Emotion Agency will help you to organize your wedding and event in this beautiful location. Documentation assistance & settlement of legal costs and associated fees, the announcement of the wedding on a local newspaper, marriage license, wedding supervision/coordination fees, Heraklion Major or Vice-Major, preparation of all local documents needed, settlement of registry office’s fees.